Tanzania is one of the top tourist destinations in the whole of Africa. This 10 Days Northern Circuit Wildlife Encounter Safari will take you to explore the Northern Circuit of this amazing country. Day 1:Kilimanjaro International Airport to Arusha. Day 2:Arusha town to Arusha National Park. After breakfast, drive to Arusha National Park for a morning walking safari with picnic lunch and then afternoon game drive in the park. Later on drive back to Arusha at your hotel/lodge for dinner and overnight. . (Christina House, Planet Lodge, Arusha Serena Hotel or Legendary Lodge). Day 3: Arusha Town to Lake Manyara National Park. After breakfast, drive to Mto wa Mbu for morning cultural visit followed by hot local lunch; then afternoon game viewing inside Lake Manyara NP. Later on drive to your campsite/tented camp/lodge for dinner and overnight. (Fanaka Campsite, Manyara Wildlife Camp, Lake Manyara Serena or &Beyond Lake Manyara). After breakfast, drive to Central Serengeti with packed lunch and game drive along the way. Arrive in time for afternoon game viewing in the park, and later on drive to your campsite/tented camp/lodge for dinner and overnight. (Seronera Campsite, Ang’ata Serengeti Camp, Serengeti Serena Lodge or &Beyond Serengeti Under Canvas). Day 5: Full Day at Serengeti National Park. After breakfast, proceed with game viewing in Central Serengeti with either picnic or drive back for hot lunch and proceeds. Later on drive back to your campsite/tented camp/lodge for dinner and overnight. (Seronera Campsite, Ang’ata Serengeti Camp, Serengeti Serena Lodge or &Beyond Serengeti Under Canvas). Day 7: Serengeti to Ngorongoro Conservation Area Authority (NCAA). After breakfast, morning game viewing in Central Serengeti with packed lunch while heading to Ngorongoro Conservation. Arrive in the evening for leisure, dinner and overnight at your campsite/tented camp/lodge. (Simba Campsite, Ang’ataNgorongoro Camp, Ngorongoro Serena or &Beyond Ngorongoro). Day 8: NCAA to Crater. After breakfast, full day crater tour with picnic lunch down into the Crater. Later on ascend and drive to your campsite/tented camp/lodge for dinner and overnight. (Simba Campsite, Ang’ataNgorongoro Camp, Ngorongoro Serena or &Beyond Ngorongoro). Day 9: NCAA to Tarangire National Park. 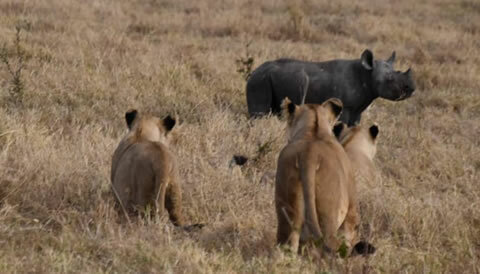 After breakfast, drive to Tarangire with packed lunch and full day game viewing in the park. Later on drive to your campsite/tented camp/lodge for dinner and overnight. (Matete Campsite, Ang’ataTarangire Camp, TarangireSopa Lodge or Tarangire Treetops). Day 10: Tarangire to Kilimanjaro International Airport. After breakfast, morning game viewing in the park with picnic lunch, then drive to Arusha, and transfer to Kilimanjaro airport to catch your flight back home or to Zanzibar.